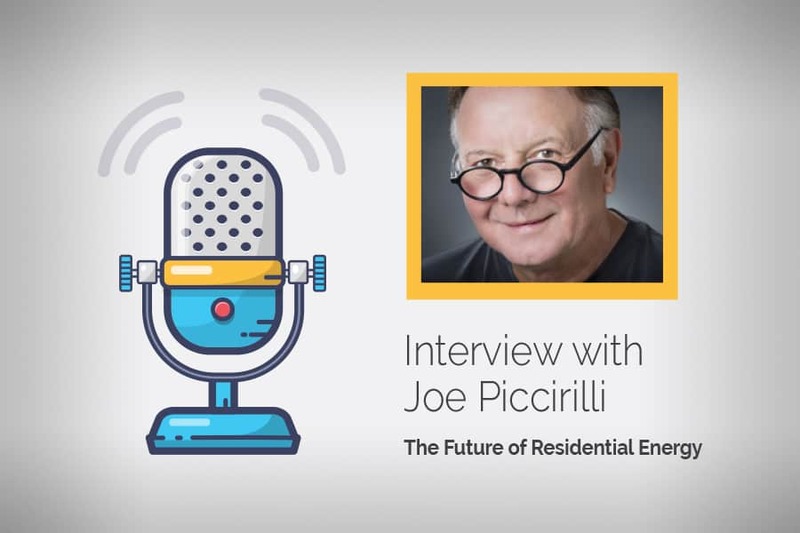 Joe Piccirilli, one the Top 20 most influential people of the past 20 years, is the Founder and CEO of RoseWater Energy Group, the innovative team behind the RoseWater Energy Storage HUB. The HUB is considered the most intelligent residential energy solution on the market. The company’s main focus is in providing the energy of the future, today. We got the chance to have an enlightening chat with Joe about his impressive career in electronics and energy solutions. He gave us the inside scoop on RoseWater, its inception, evolution, and the future of energy in the United States. Acoustic Architects (AA): Tell us about how RoseWater came to be. Joe Piccirilli (JP): After selling Avad Distribution in 2005 to Ingram Micro, I noticed the emerging trend toward microprocessors, which was still in its infancy at that time, in the home automation movement. I also had an interest in renewable energy and there was a definite need on the automation front. So we took a look at the strengths and weaknesses to improve the current power delivery systems, and at the same time, find a strategy to integrate microprocessor technology into residential dwellings. We found that there was an overall decline in power capability due to 4 key reasons: an aging infrastructure, population increase, a trend in building larger structures that consume more power, and the excessive hurdles in building power plants where building permits alone take years to obtain. We were also looking at the effects tropical storms and lightning strikes along the east coast. So that gave us a lot to work with. AA: What was your solution? JP: We developed an energy storage HUB that utilizes solar and battery power. Solar peak is between the hours of 11:00 am and 1:00 pm when residential consumption is at a minimum. So, at that time, it shunts the unused energy to batteries for storage. When residential energy consumption is at its height, that is the time of day when solar is at its weakest, so that batteries can kick in to supplement. The energy HUB puts out consistently strong power and energy to microprocessors, and it protects against lightning strikes and the inconsistencies of the grid. Not as insurance, but damage prevention. It also needed to be safely and securely managed by software. To give you an example, I have a client in Florida with a very large estate. During a storm, the power went out. They noticed a beeping sound coming from the HUB about 12 hours later, and asked us about it. That is the only way the client knew they had lost power and were running on battery. The home automation was still operating perfectly. The performance of the HUB is so seamless, that in the event of a power outage, the homeowner is unaware that they are running on batteries, or that they’ve lost power. AA: How long did the development phase take? JP: We wanted to build it to industrial and military grade specs. In all, it took a little over 3 years to get it engineered, and then ready for introduction on the residential market. AA: How are your energy solutions different from similar competitors? JP: No one is doing anything similar right now. AA: How is RoseWater’s energy an environmentally friendly solution? JP: In the US, energy is cheap. Utility companies produce a base load, with the same amount of electricity generated 24/7. But they shunt excess electricity into the ground and 25% is wasted. With batteries, we can capture wasted electricity, then turn electricity to the residences off and let them run on batteries. This will increase the available amount of power by 25%, which is more environmentally friendly. AA: How do you see this Energy solution spreading out? Do you see it going mainstream? JP: I foresee it going mainstream no later than a decade from now. In 5 years it will be much more affordable. People want the power control. The technology favors both the consumer and utility companies. AA: Describe the Energy Solutions Integrators, Architects, and Designers that might be attracted to your energy solutions? JP: The people who are attracted to our products are on the front end of technologies. These are businesses interested in advancing the state of the art. They have a passion for it and are willing to put in the capital to do so. Often, they are already familiar with our work. ‘Responsive Living,’ the term coined by Acoustic Architects founders, Aaron Flint and Spencer Hauldren, is the concept of seamlessly enhancing the client’s unique lifestyle using smart-home technology. Responsive Living allows you to interact with your space via touch input, voice command, and predictive automation, placing you in full control of your home. If you would like to learn more about energy solutions and home automation, feel free to connect with us. We will be happy to schedule a demo with you.